Welcome to the Elixr Technologies Pvt Ltd. This website is owned and managed by Elixr Technologies Pvt Ltd. By accessing and using the www.elixrtech.com web site, (the “Web Site"), you are agreeing to be legally bound by these Terms & Conditions. The terms “you" and “User" refer to anyone who accesses the Web Site. Elixr Technologies Pvt Ltd may change these Terms & Conditions at any time without notice. Changes will be posted on the website under “Terms & Conditions". Elixr Technologies Pvt Ltd hereby grants you a non-exclusive, non-transferable, limited license to access and use the Web Site for the fees, if applicable, and under the terms set forth below. The Web Site and the content, including, but not limited to, text, data, reports, opinions, images, photos, graphics, graphs, charts, animations and video (the “Content"), displayed on the Web Site, may be used only for your personal and non-commercial use. Except as otherwise permitted under these Terms & Conditions, you agree not to copy, reproduce, modify, create derivative works from, or store any Content, in whole or in part, from the Web Site or to display, perform, publish, distribute, transmit, broadcast or circulate any Content to anyone, or for any commercial purpose, without the express prior written consent of Elixr Technologies Pvt Ltd.
You may not use the Web Site for any unlawful purpose. You shall honor all reasonable.requests by the website to protect Elixr Technologies Pvt Ltd’s proprietary interests in the website. The User unilaterally agree to indemnify and hold harmless, without objection, the Company, its officers, directors, employees and agents from and against any claims, actions and/or demands and/or liabilities and/or losses and/or damages whatsoever arising from or resulting from their use of www.elixrtech.com or their breach of the terms . Due to the number of sources from which the Content is obtained and the potential hazards of electronic distribution, there may be delays, omissions or inaccuracies in such Content and the Web Site. THE CONTENT AND THE WEB SITE ARE PROVIDED “AS IS", WITHOUT ANY WARRANTIES. NEITHER THE WEBSITE NOR Elixr Technologies Pvt Ltd MAKES ANY GUARANTEES OR WARRANTIES AS TO THE ACCURACY, COMPLETENESS, TIMELINESS OR CURRENTNESS OF OR RESULTS TO BE OBTAINED FROM, ACCESSING AND USING THE WEB SITE, THE WEB SITE’S OWN CONTENT, THE OTHER CONTENT, NOR ANY MATERIAL THAT CAN BE ACCESSED (VIA A DIRECT OR INDIRECT HYPERLINK OR OTHERWISE) THROUGH THE WEB SITE. THE WEBSITE HEREBY DISCLAIMS ANY AND ALL WARRANTIES, EXPRESS OR IMPLIED, INCLUDING WARRANTIES OF MERCHANTABILITY OR FITNESS FOR A PARTICULAR PURPOSE OR USE AND OF NONINFRINGEMENT. NEITHER THE WEBSITE NOR Elixr Technologies Pvt Ltd SHALL BE LIABLE TO THE USER OR ANYONE ELSE FOR ANY INACCURACY, DELAY, INTERRUPTION IN SERVICE, ERROR OR OMISSION, REGARDLESS OF CAUSE, OR FOR ANY DAMAGES RESULTING THEREFROM. IN NO EVENT WILL THE WEBSITE, Elixr Technologies Pvt Ltd NOR ANY OF THEIR THIRD PARTY LICENSORS BE LIABLE FOR ANY DIRECT, INDIRECT, SPECIAL OR CONSEQUENTIAL DAMAGES, INCLUDING BUT NOT LIMITED TO, LOST TIME, LOST MONEY, LOST PROFITS OR GOOD WILL, WHETHER IN CONTRACT, TORT, STRICT LIABILITY OR OTHERWISE, AND WHETHER OR NOT SUCH DAMAGES ARE FORESEEN OR UNFORESEEN WITH RESPECT TO ANY USE OF THE WEB SITE. NEITHER THE WEBSITE NOR ANY OF ITS AFFILIATES, AGENTS OR LICENSORS WILL BE LIABLE TO YOU OR ANYONE ELSE FOR ANY LOSS OR INJURY RESULTING FROM USE OF THE WEB SITE, IN WHOLE OR PART, WHETHER CAUSED BY NEGLIGENCE, CONTINGENCIES BEYOND ITS CONTROL IN PROCURING, COMPILING, INTERPRETING, REPORTING OR DELIVERING THE WEB SITE AND ANY CONTENT AT THE WEB SITE OR OTHERWISE. IN NO EVENT WILL THE WEBSITE, ITS AFFILIATES, AGENTS OR LICENSORS BE LIABLE TO YOU OR ANYONE ELSE FOR ANY DECISION MADE OR ACTION TAKEN BY YOU IN RELIANCE ON SUCH CONTENT OR THE WEB SITE. 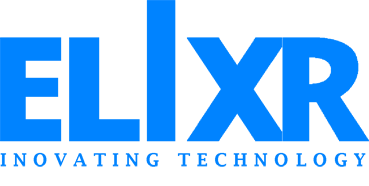 Elixr Technologies Pvt Ltd may discontinue or change the Web Site or its availability to you, at any time. To improve the responsiveness of the sites for our users, we may use “cookies", or similar electronic tools to collect information to assign each visitor a unique, random number as a User Identification (User ID) to understand the user’s individual interests using the Identified Computer. Unless you voluntarily identify yourself (through registration, for example), we will have no way of knowing who you are, even if we assign a cookie to your computer. The only personal information a cookie can contain is information you supply (an example of this is when you ask for our Personalised Horoscope). A cookie cannot read data off your hard drive. Our advertisers may also assign their own cookies to your browser (if you click on their ads), a process that we do not control. Our focus is complete customer satisfaction. 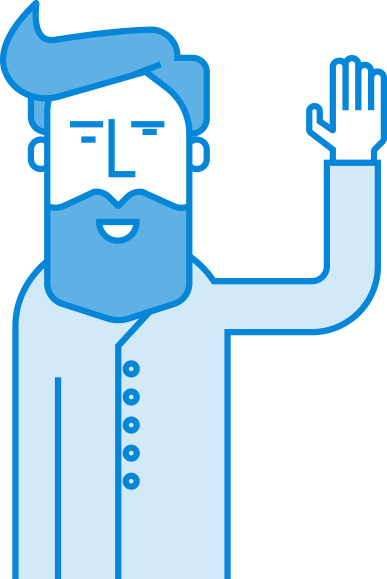 The Payment is not refundable and for any plan after the Approval of the Elixr Team. Client needs to make 50% of the payment after signing the Agreement / quotation and Rest of the 50% Payment should be made after approving the Template/ User Interface. (c) All the changes/ modifications for the particular day work for website should be provided on the same day / next day. Failing to produce will not be accepted / will be charged. (d) The Website / Project will be blocked without notice failing to make payment as per prescribed time for more than 3 working days without proper reason. (e) Elixr holds the total rights for the website until the total work order and payment has been completed and It has right to Cancel the website without prior notice. (f) In order to avoid confusions and assumptions Elixr follows a policy of holding the development process if clients do not respond for more than four business days. (g) The maintenance / support will not be provided if the customer makes any sort of changes for the website delivered without our notice. Any complaints or concerns with regards to content and or comment or breach of these terms shall be immediately informed via email: [email protected] .